The Paperex series of Exhibition and conference has always been a gratifying experience in terms of organization, participation, and generation of new business opportunities in the field of Paper, Pulp and allied industries. 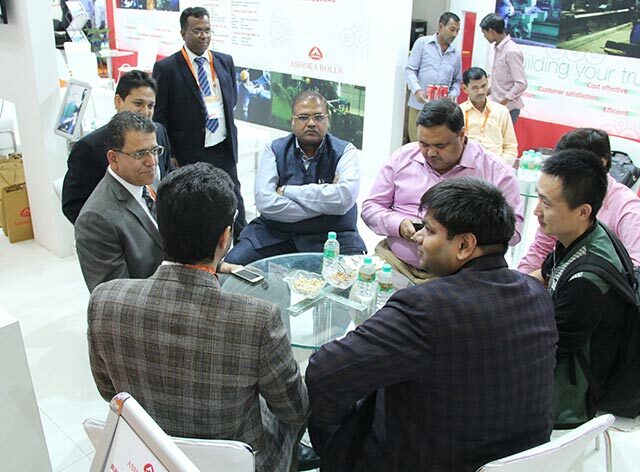 PAPEREX 2019 provides a leading business platform for industry professionals looking for the business opportunities in the Indian paper industry, and finding trusted trade partners. Exhibiting at PAPEREX 2019 will ensure that your message will reach out to industry leaders and key decision makers of the industry and will enhance your business prospects. Partnership gives an excellent opportunity to stand out from the crowd, reinforce, enhance and establish corporate visibility amongst the targeted audience. Partnership is a great way to reinforce your brand message to maximize your commercial potential. PAPEREX 2019 offer a wide range of Partnership programs that you can use to promote your products and services. For Metso, India is turning into a manufact..
Tissue Paper Converting Machines Market Si..
Increasing Demand for Uncoated Fine Paper ..
Organisers: © 2018 All rights reserved.